This historical London image is of a lone Bobby or jail warden walking through an alley at Marshalsea Jail. Seems like the image could easily be used for more than just how it was intended by the original artist. 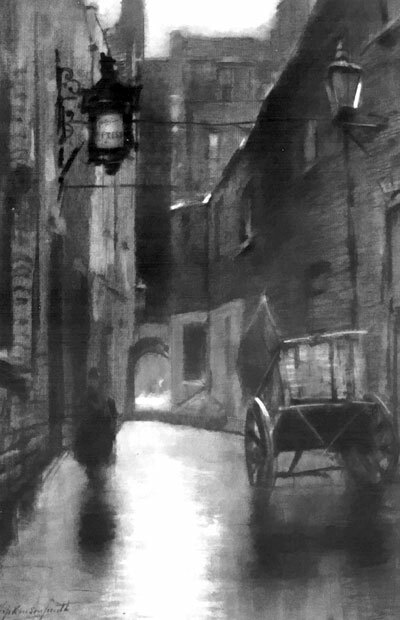 With the empty cart and the lone pedestrian, this image seems like it has a great deal to offer the artist looking for images of London in the early 1900s. This drawing is by Francis Hopkinson Smith (1838-1915) and was included in the book Outdoor Sketching.